We came hand to hand with the Doogee P1 at MWC this year, now the device is on presale at an intro price of just $169. Normally known for making budget and midrange phones, Doogee made a bit of a change this year. On the phone front they have their flagship Helio X20 Flag F7 on the way, and to diversify their range they have the Smart Box P1 Projector. 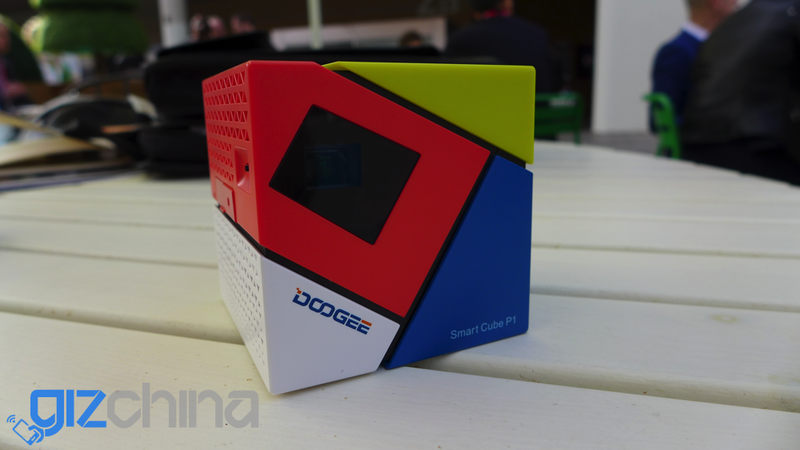 We tried the P1 at MWC, and found the Rubiks cube sized box to be a cool little gadget. The box contains a powerful lamp, Android operating system, 4800mAh battery and is able to connect to mobile devices and desktops to mirror screens. We also so the P1 connected to a Mac using the projector as a second screen. Its a versatile little box that could be used for office, work, home or play. Doogee are also giving fans the chance to win a Doogee P1 Projector via their Facebook page here.